After spending years confined to the pages of science-fiction, driverless cars are now a reality and the world needs a new wave of engineers and programmers to design, build and programme the next generation of autonomous vehicles. Year 10 students were challenged by STEM organisation, the Smallpiece Trust to build and program their own autonomous vehicles which could safely navigate their way around a cityscape. In the Dragon’s Den style challenge, students were split into groups and given specific roles to design, program, test and market their vehicles. They spent the day using their initiative to develop their ideas and organisation skills whilst always being mindful of their strict deadline. The project encouraged students to strengthen their communication through teamwork and presentations. Students worked towards achieving a Crest Award by using their writing skills to incorporate set keywords and engineering terminology into their project presentations. At the end of the day, each team had to sell their projects to the year group and judges, explaining their choices and why they had selected particular features for their vehicles. The Smallpiece Trust are dedicated to fuelling people’s passion for engineering; they encourage students to think big. Bringing STEM activities to life, they offer students the chance to use their imaginations, solve problems and explore different engineering disciplines. 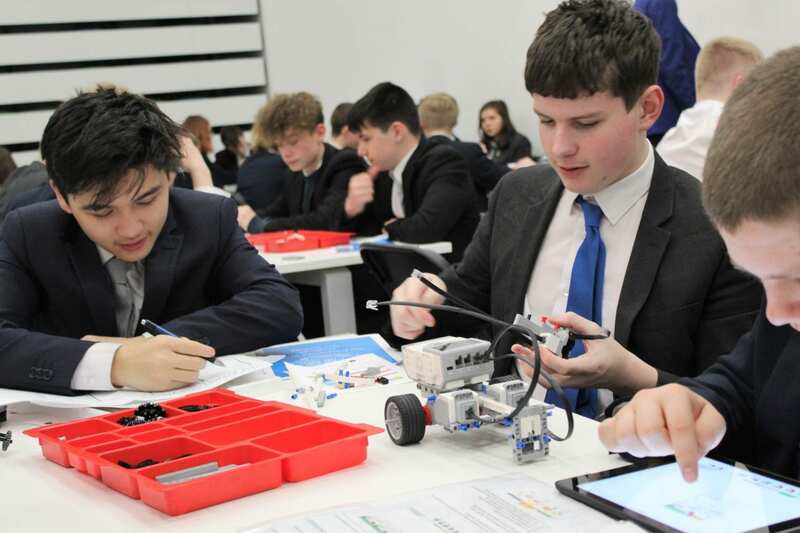 Working together with Higher Horizons, this challenge also gave students the opportunity to compete for a residential trip to Harper Adams University in Shropshire where they will be working with experts to design an new off-road vehicle. Four students from the top two teams were awarded this opportunity and are looking forward to their trip in April. – Alex, One of four prize winners. Next PostHow many nails can you balance on a nailhead?